Can You Ever Forgive Me? DVD release date was set for February 19, 2019 and available on Digital HD from Amazon Video and iTunes on February 5, 2019. Though Lee Israel has undeniable profiling skills, her work has grown stale and hackneyed, rendering her profession unnecessary and insignificant. Previously, Israel was profiling Estee Lauder, Katharine Hepburn, and Tallulah Bankhead. Now in times of financial hardship, Israel must find other ways to make a living. With assistance from her steadfast boyfriend, Jack, the two endeavor to keep Israel afloat. With a dose of trickery and deceptive eye, they do just that. 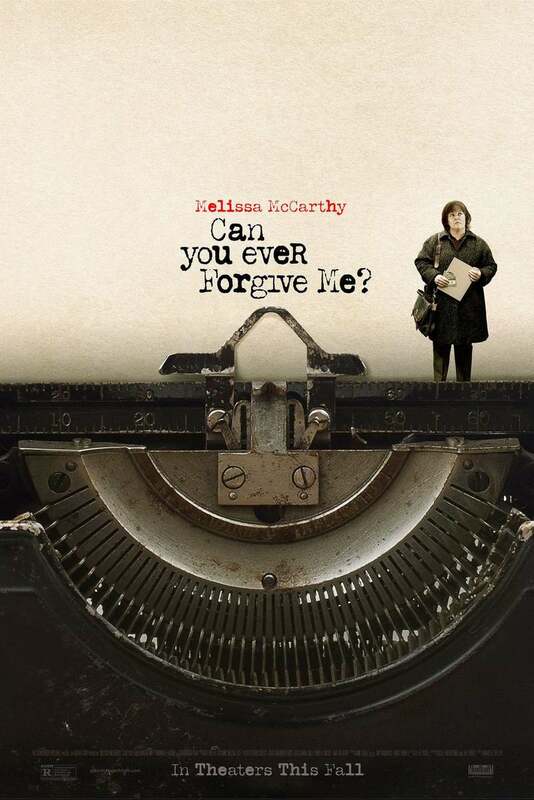 DVDs Release Dates is the best source to find out when does Can You Ever Forgive Me? come out on DVD and Blu-ray. Dates do change so check back often as the release approaches.